If you are in a hurry to make some snacks, you don't have to look beyond bread! You can make sandwiches or other snacks quite easily. 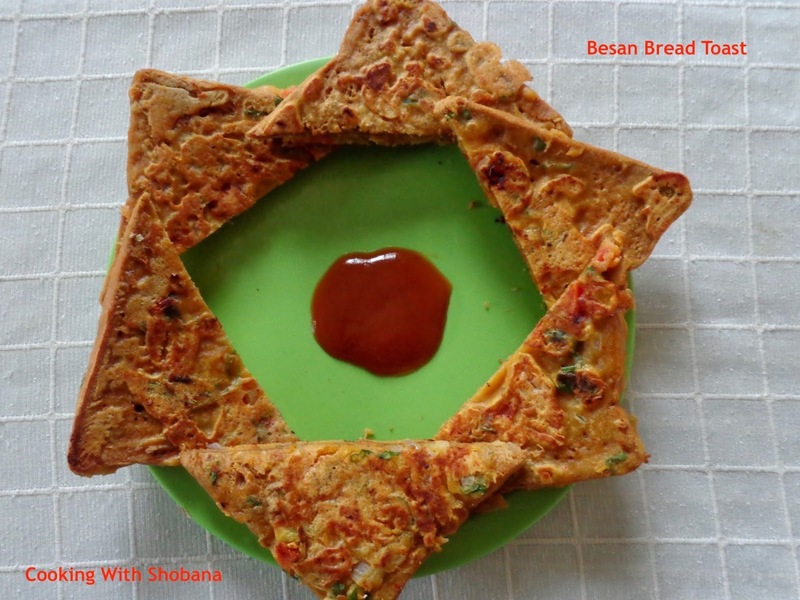 Elsewhere in this blog you will find recipes for Oats Moong Toast, Palak and Corn Cutlets, and Masala Bread Toast. While you can use any type of bread to make Besan Bread Toast, I prefer to use Brown Bread. For best results, the batter should be of the right consistency and the bread slices should be evenly coated. Needless to say, the onion and tomato which goes into the batter should be finely chopped.